If you look in the mirror and feel like your appearance is lacking due to your damaged or yellowed teeth, you may benefit from dental veneers. This procedure can take your tired teeth and transform them into a beautiful white smile that will help you feel as good as you look. Find out more about dental veneers and the veneer process with Dr. Jamie Thurman – Taylor and Dr. Erica Ketchem at TLC Family Dentistry in Lee’s Summit, MO. A veneer covers the front surface of a tooth to provide a new, improved appearance. Since the veneer simply covers the tooth’s imperfections, it can repair several cosmetic issues, such as discolorations, slight misalignments, or chipped teeth, at once. A good candidate for veneers is in good dental health and has no signs of teeth decay or gum disease prior to their procedure. Your dentist will treat these issues prior to placing any veneers. Additionally, you should have a strong at-home oral care routine to ensure that both your veneers and your natural teeth remain healthy and strong for years to come. What can I expect from the process for veneers? 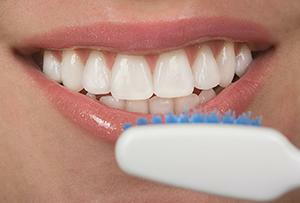 Veneers require several appointments with your dentist to complete. The first phase of the veneer process involves preparing the teeth to receive the veneers, a process which removes a tiny layer of enamel from the surface of the tooth. Your dentist then takes an impression of the mouth. The dental laboratory who creates your veneers uses this impression to design and customize each veneer. The second phase of your treatment will occur after the laboratory completes the veneers and sends them to your dentist’s office. Finally, your dentist removes any temporary restorations and permanently replaces them with your final veneers. For more information on veneers, please contact Dr. Jamie Thurman – Taylor and Dr. Erica Ketchem at TLC Family Dentistry in Lee’s Summit, MO serving Greenwood, Lake Winnebago, Pleasant Hill, Raymore, Belton, Lone Jack, and Harrisonville, MO. Call (816) 537-6161 to schedule your appointment for a consultation for veneers with your dentist today!